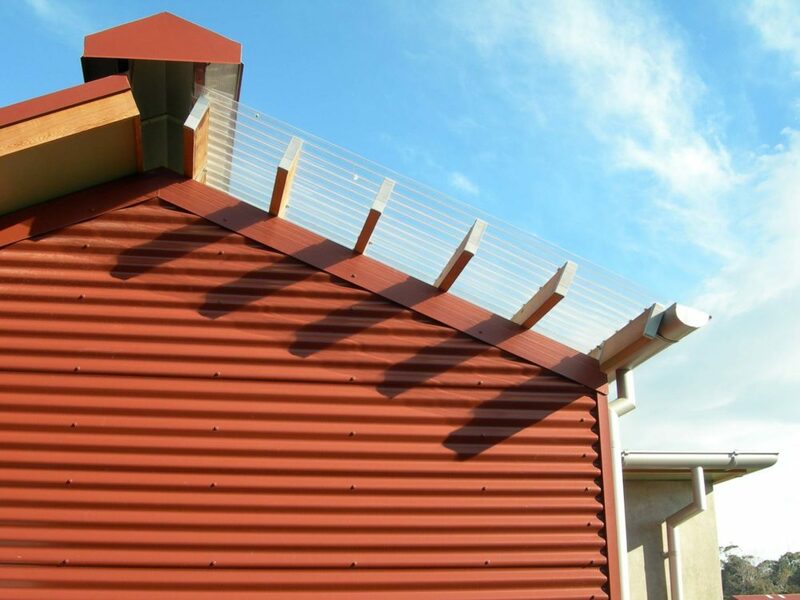 The first toilet project for the Hastings District Council with a specific brief to use red corrugated iron and traditional rural shed forms of the neighbouring café and farm buildings. 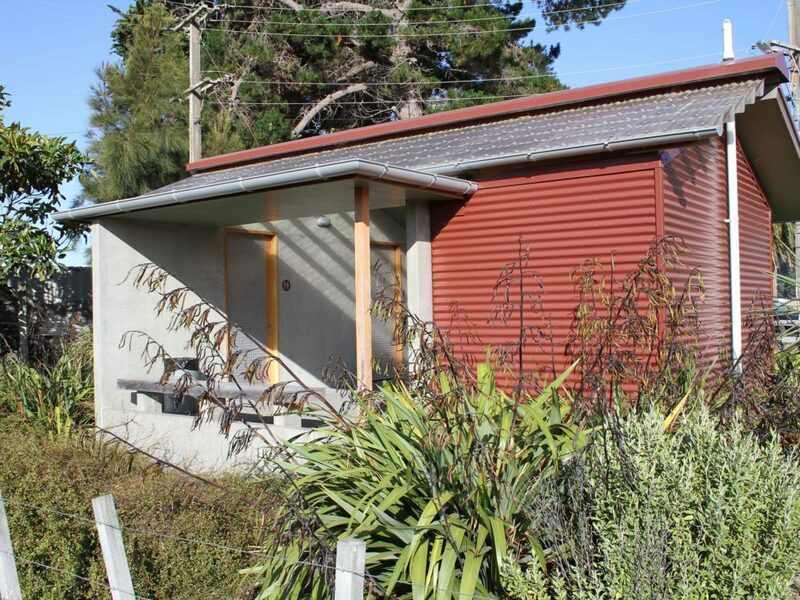 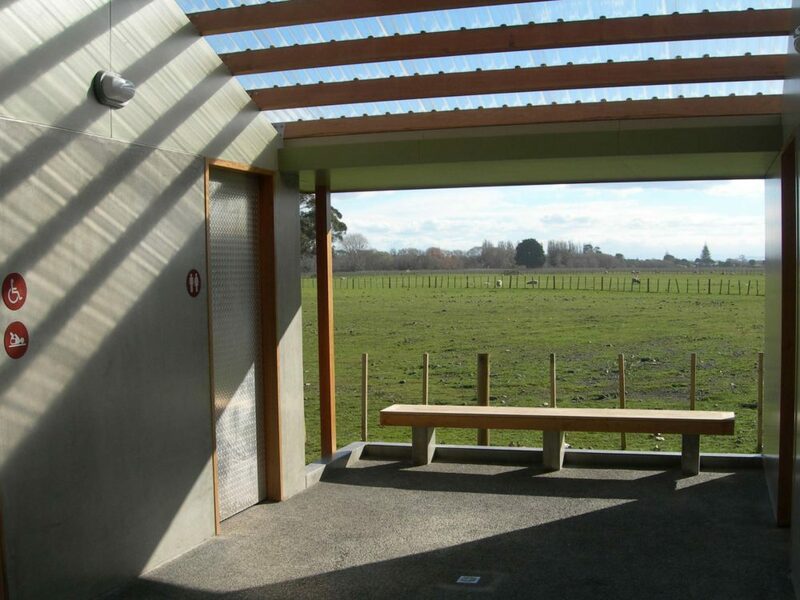 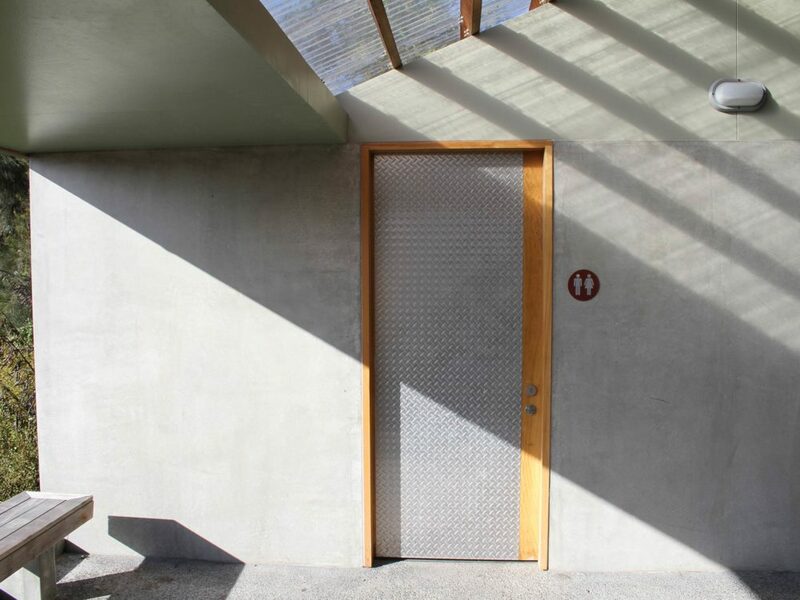 The entry sheltered space is located between the toilets to break up the form and to open up views of the farm paddocks and tree clad hills to Cape Kidnappers. 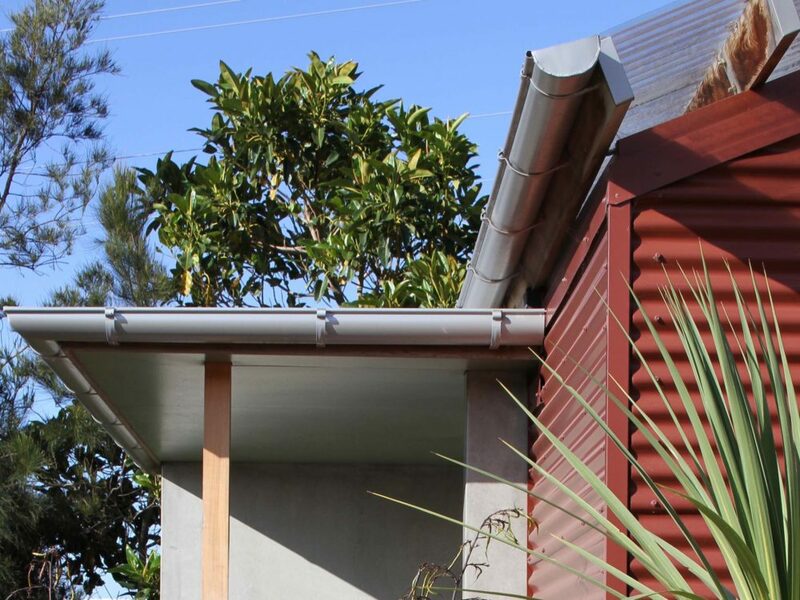 The essential elements of providing daylight and natural ventilation are resolved without the use of windows by separating the roof and the walls and using clear corrugated roofing to one face of the roof.